Hair loss is a common complaint among our patients, both men and women. You can read more about hair loss here. We have all gone through a time in our lives where we have either wondered, “Why is there so much more hair in my hairbrush,” “my hair used to feel/look so much thicker,” or “where is all this hair coming from? !” Hair loss affects roughly 40 million men and 25 million women in the United States. It’s a big deal. Losing your hair can be terrifying, even if you know what is causing it. On that note, here are some of the common causes of hair loss. The more common causes of hair loss are imbalances of hormones like estrogen/testosterone, thyroid irregularities, stress (physical/physiological/mental), trauma (pulling the hair), and most commonly, genetics. In order to determine the type of hair loss a patient may have several tests including blood tests, or biopsies are also useful. These tests can pinpoint or eliminate causes so that the proper treatment can be started. There are various treatment options available. Obviously, if you have any blood irregularities that can be corrected, that is step one. Most other causes of hair loss can be treated with good nutrition, vitamin supplementation that helps promote hair growth, oral medications (finasteride), and now platelet-rich plasma injections, otherwise known as PRP. PRP injections use the platelets from your own blood to stimulate hair growth at the follicle. This in combination with micro-needling can stimulate the absolute best environment for hair follicle development, and thus equate more hair growing. Typically, if you are new to our practice or have never been evaluated for hair loss, we will advise you be seen by one of our medical providers to rule out any of the aforementioned causes before treating. Once that is done, you are all set! The entire procedure takes roughly an hour. We make sure we have before and after photos so we will be able to track your progress with you. We will discuss any and all questions you may have related to the procedure and go through a thorough medical history to make sure that PRP injections are the best option for you. If a recommendation of PRP treatments is made, then we will draw your blood and have our nurses put it in a centrifuge. This spinning mechanism, at its precise speed and duration of time, is what allows us to separate the hair “fertilizing” platelets from the rest of your blood. We will then inject this liquid into your area of hair loss and follow that with some micro-needling with our Rejuvapen. We will then see you back periodically for follow up treatments and pictures. 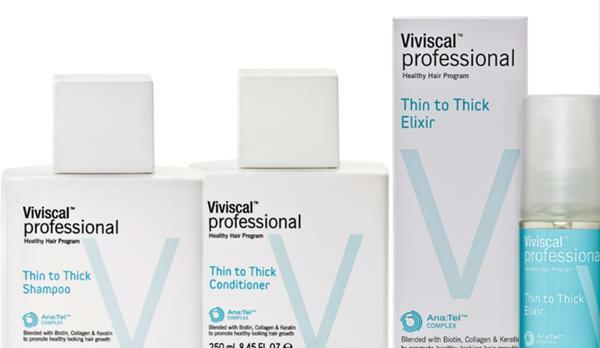 Getting the Maximum Benefit For maximum growth, we recommend the Viviscal Professional line of hair products, including their supplements, shampoo/conditioner, and hair elixir. Viviscal Professional supplements promote existing hair growth in four stages over a six month period. Many users notice a difference in as little as three months. Viviscal Professional products can be purchased in our office or online.